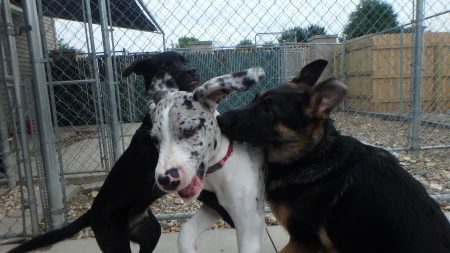 Yesterday we said goodbye to another sweet puppy who is moving away: Bane C., a German Shepherd He’s pictured here whispering into Moose V’s ear along with Bruin L. The “crazy player” group in the Littles won’t be the same without Bane! We will miss you, buddy! !